A research to practice forum on gender identity and sexual orientation issues in education. 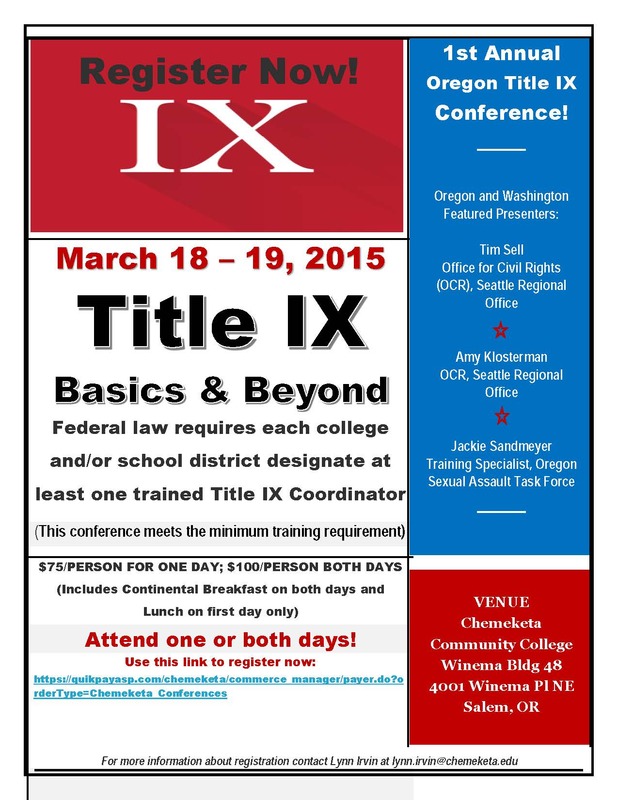 It seems appropriate to begin this blog with an announcement about the inaugural Title IX education conference taking place this March 18-19 at Chemeketa Community College. Title IX offers students federal protection from gender bias in education. The federal passage of Title IX in 1972 was led by Oregonian Edith Starrett Green. In fact Title IX was one of her most enduring legislative triumphs and a historic moment for Oregon and for the nation. Title IX was a part of the 1972 Higher Education Act that prohibited federally funded colleges and universities from discriminating against women. As chair of the Subcommittee on Higher Education of the Education and Labor Committee, Green presided over seven days of hearings in which a wide range of witnesses explained the various ways women faced discrimination in postsecondary education. She set the tone for the proceedings when she exclaimed, “Let us not deceive ourselves. Our educational institutions have proven to be no bastions of democracy.” Green overcame opposition from many university administrators, as well as from conservative Congressmen who feared the proposed bill would force school officials to construct unisex locker rooms and admit an equal number of male and female students. When reflecting upon the passage of Title IX, she stated: “I don’t know when I have ever been so pleased, because I had worked so long and it had been such a tough battle.